Here in the New England area, the beaches are often backed by wild roses (Rosa rugosa) that have large white or pink 5 petaled roses. The flowers will develop into large, 1" deep orange hips, and the stems are wickedly thorny. 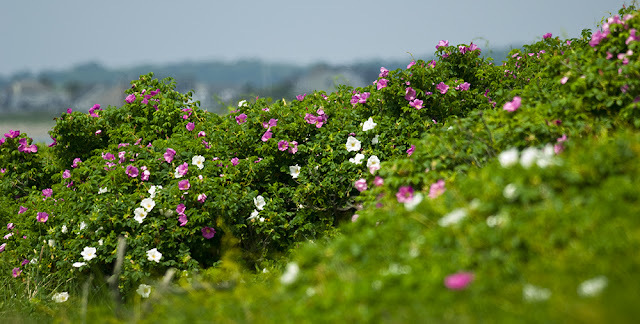 They are commonly called beach roses or wrinkled roses and are originally from Japan. Now they are listed as invasive in many areas, including Connecticut. 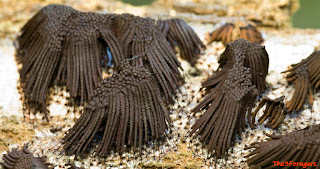 They tolerate the salty conditions at the shore, and have proliferated there as a result, growing along sandy dunes on the east coast from southern Canada to North Carolina, and west to Wisconsin and the Great Lakes. Before the vitamin C-packed rosehips develop later in the summer, we gather the fragrant petals from the flowers. The best time of day to gather the flower petals is late morning or early afternoon. They open each morning, become dusted with pollen around noon, and will drop their petals by late evening, leaving the pollinated and developing hip behind. By gently grasping the whole flower head with your hand and tugging the petals, you will often get most of the petals off easily. The hardest part is avoiding the prickers, and there is often poison ivy growing among the bushes, so be mindful and wear shoes and maybe even jeans when picking. The petals contain the lovely rose smell, and are edible raw as a pretty garnish in salads. They can be added to cookie dough, like shortbread, for color and flavor. We also use them to make this wildly beautiful syrup, which we then use to add to seltzer for flavor, as a flavored syrup at breakfast, add to mixed cocktails like simple syrup, and as a base for a floral sorbet. At first, the color will be a dull purple, but adding the ascorbic acid powder will create the intense pink and preserve the syrup. We buy bulk powdered ascorbic acid from the local vitamin shop, it is more commonly known as vitamin C. You could use this recipe for roses you have in your yard, as long as you have not sprayed the roses with chemicals. 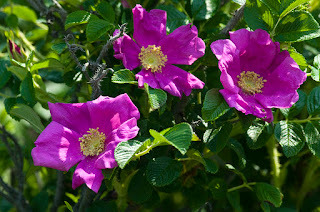 Many hybridized and domesticated roses no longer have the heady fragrance of wild roses, though, so we prefer the wild roses for this recipe. 1. Heat the water to boiling and add the sugar. Remove from the heat, and stir until the sugar dissolves. 2. Allow the sugar syrup to cool to 80°F, then stir in the chopped rose petals. Cover the pot and let the flowers steep in the syrup for 24 hours. 3. Filter out the flowers and squeeze them well to extract all the flavor. Filter the syrup through a fine mesh coffee filter. 4. Remove 1 cup of the syrup, and warm it in a saucepan. Add the ascorbic acid, using a whisk to dissolve it. Add the warmed syrup back to the remainder, and mix it all well. 5. 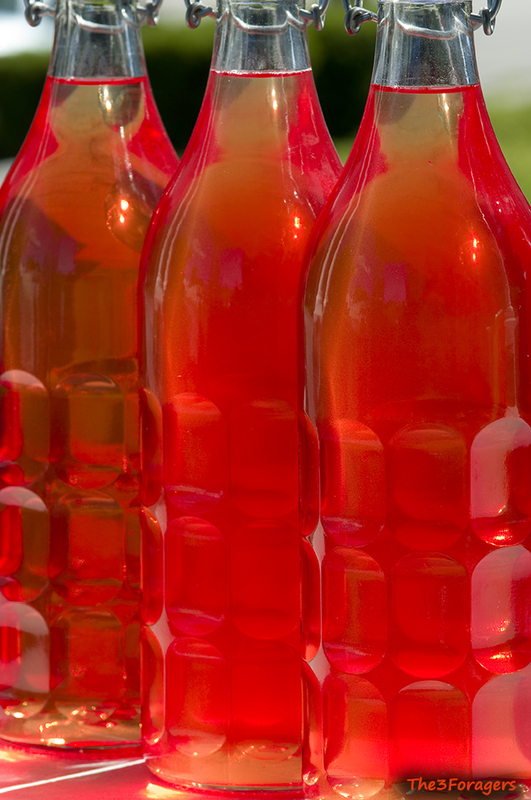 Store in airtight, sterilized glass containers in a dark place, up to a year. This past weekend we spent 24 hours with a large group of dedicated and enthusiastic science-minded folks at the White Memorial Bioblitz. What is a bioblitz? It's a 24 hour event that tallies every species inhabiting a study site. 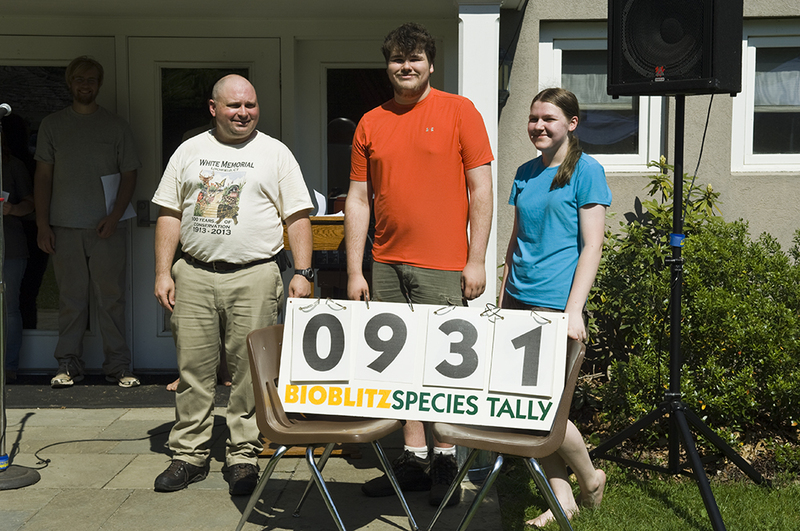 Biologists blitz the area in search of every living species, and the bioblitz finishes with a final count of all the species discovered. 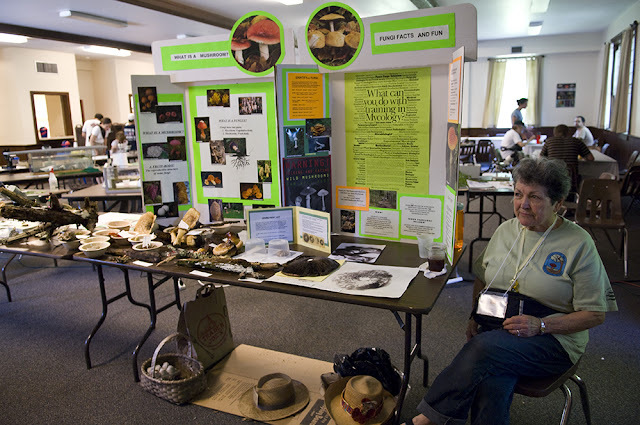 There were bird people, fish people, plant people, lichen people, bug people, and we were part of the fungus working group, along with some other members of CVMS, the Connecticut Valley Mycological Society. The final count for the kingdom Fungi was 89 specimens, and the final count of all species of life was 931 species. The end of May and very beginning of June are not terribly exciting times of the year for finding fungi in Connecticut. We mostly collected wood decaying fungi and several slime molds, but fellow myco-nuts Emily and Mike did surprise us all and found 3 beautiful morels on site. They were greatly admired specimens. 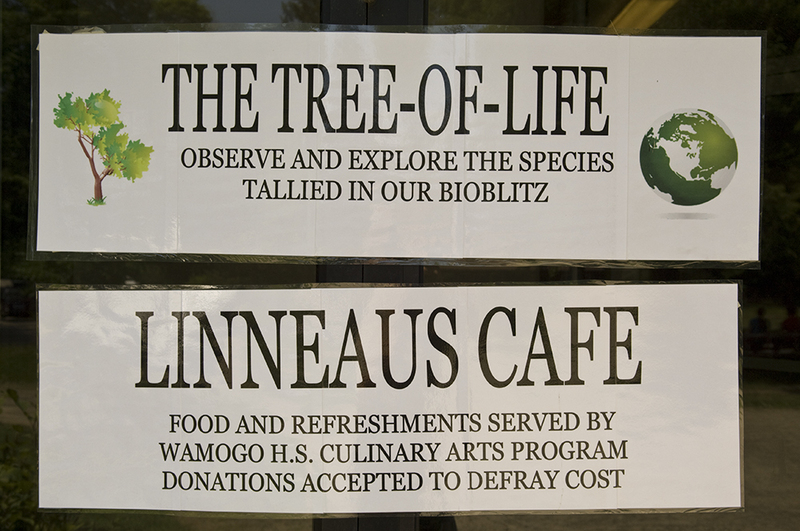 Some of our better-looking fungi were brought over to the Tree of Life Museum, along with some informational sign boards. 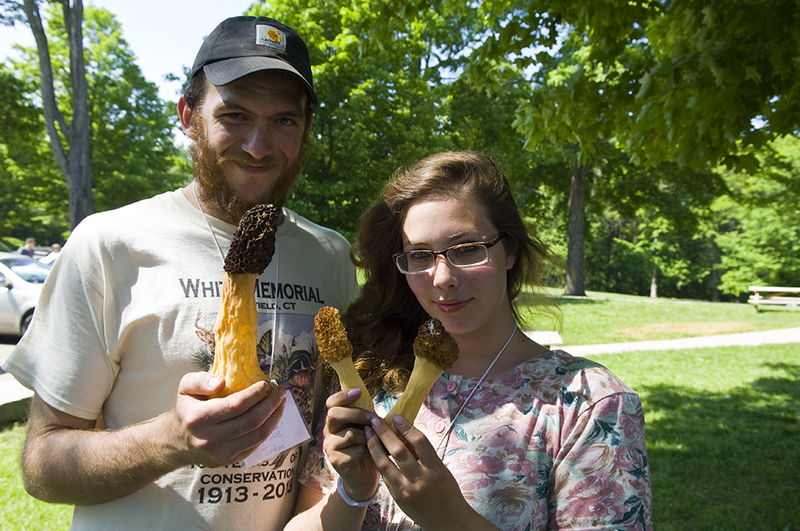 Some of our finds included lots of turkey tails (Trametes versicolor and Trametes hirsuta), the platterful mushroom (Megacollybia rodmanii), the blonde morels (Morchella esculentoides), winecaps (Stropharia rugosoannulata), and a few slime molds including dog vomit (Fuligo septica), chocolate tube slime (Stemonitis), and Ceratiomyxa, which was incredibly abundant that weekend. Also on display at the other tables were assorted ferns, some caterpillars, fish, flowers, lichens, moss, and some stuffed animals from the White Memorial Museum. Robert took some photographs of something we could not at first identify. It looked like yellow tapioca beads on some decayed wood. 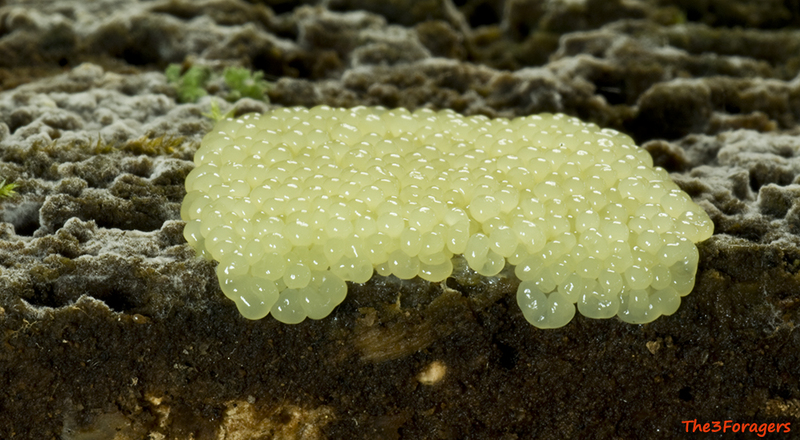 If the tapioca beads were white, we would identify them as Stemonitis species in their plasmodial stage. 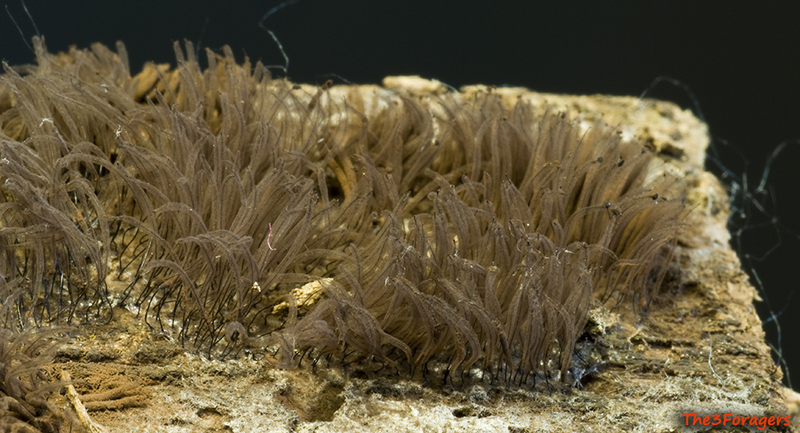 Left to age overnight, we were greeted by the wet "chocolate" stage, the fruit body, or sporangia, of the slime mold. Later that day, we dispersed the spores by gently blowing on the strands, leaving the structures that held the spores behind. This is a great species that Robert would like to time-lapse photograph, so we'll keep our eyes open for more of the "tapioca" stage slime. Slime molds are not in the kingdom Fungi, but we often collect and identify them while on forays.